This is one of the easiest salads ever and also super healthy. 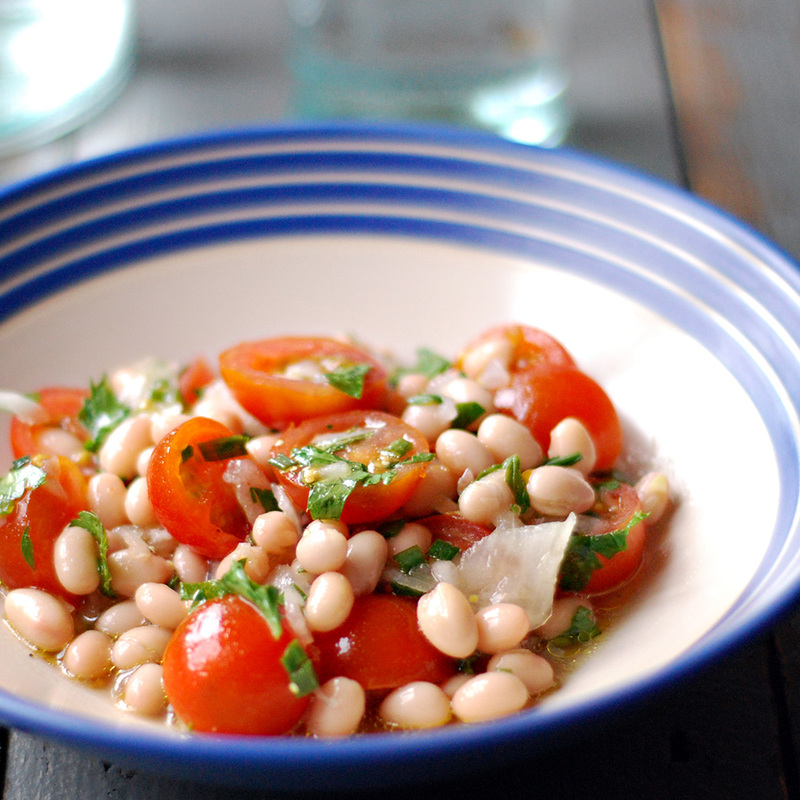 I used haricot beans but you can use any other kind you of beans you prefer, I also love it with black eyed beans. If you are using canned beans which is ok, just don’t forget to wash it first. Also it tastes better if you leave in the fridge for 30 minutes before serving. Give it go, I can guarantee this salad will become a regular in your house. Wash the beans on a colander and cook if necessary. Add the onions, tomatoes and chives and mix it well. Add the olive oil, lime juice and salt.